Step by step guide on how to backup data to the local folder or the other location. Payroll data is important. We would like to suggest you backup ezPaycheck payroll data to the USB disk, portable disk, server or other computer. So you can restore data easily if your computer is crashed. 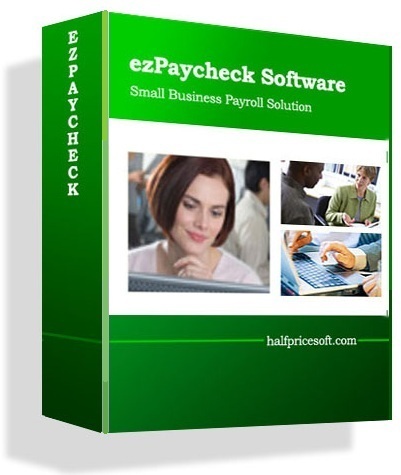 Step 1: Start ezPaycheck payroll software then click the top menu "Company->Backup Current Company". Step 2: Back up your current database file to the local folder or the USB disk or shared folder. You will see "Enter backup file name" form. If you just need to back up your data to your local folder, you can click the Save button. If you prefer USB disk, plug the USB disk to your machine, click the triangle button behind "Save in" field to change the current path to USB disk. If you want to back up your payroll data other locations (for example: network folder), You can click the triangle button behind "Save in" field to change the current path. You can modify the back up new file name as you like. Once you click the Save button, you will save your current database file to the new location. If you are a CPA and have many client accounts, it will be faster to back up the data manually or with some data backup software. The database files are .mdb (Microsft Access database) files. You can backup all the .mdb files manually. It just takes you one minute to back up the data. However, it will save you hours or days if the system is crashed. Back up your data regularly will save you time and money!